This Concord pulse oximeter has been created to measure the heart rate and blood oxygen saturation levels of both children and adults, making it a perfect solution for caregivers monitoring both adult and pediatric patients. 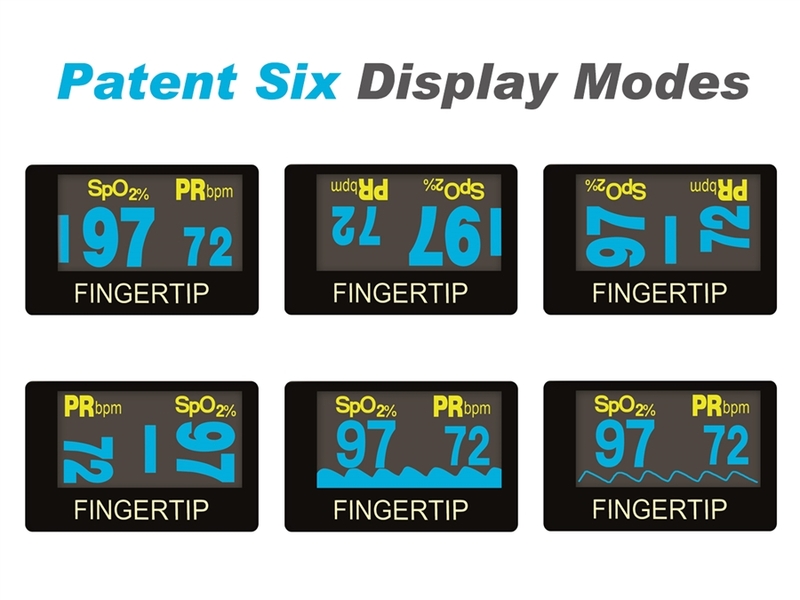 With a dual color digital OLED display, the readout of the digit pulse oximeter can be accessed from 6 display modes; one facing you and with the push of a button, it faces your care giver! Flip the screen 180 degrees with one button for easy viewing. You can also flip to sideways view and show a graphical waveform. It has adjustable brightness for easy viewing and low power consumption for long battery life. It automatically powers off when removed from your finger. This makes it easy for the patient and caregiver to read the critical data and you can also utilize the adjustable brightness option to conserve battery life. 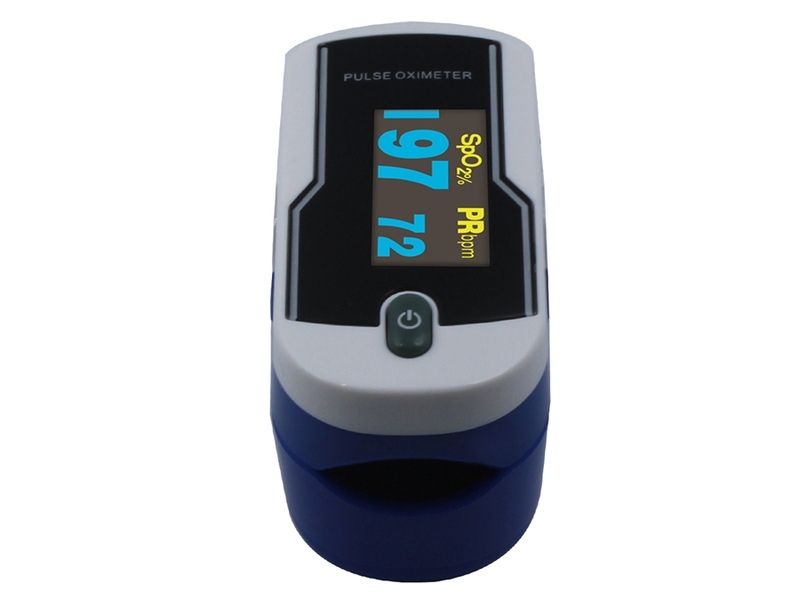 Having a single pulse oximeter for pediatric and adult patients will simplify the process of monitoring everyone, and it also makes this item ideal for home usage. 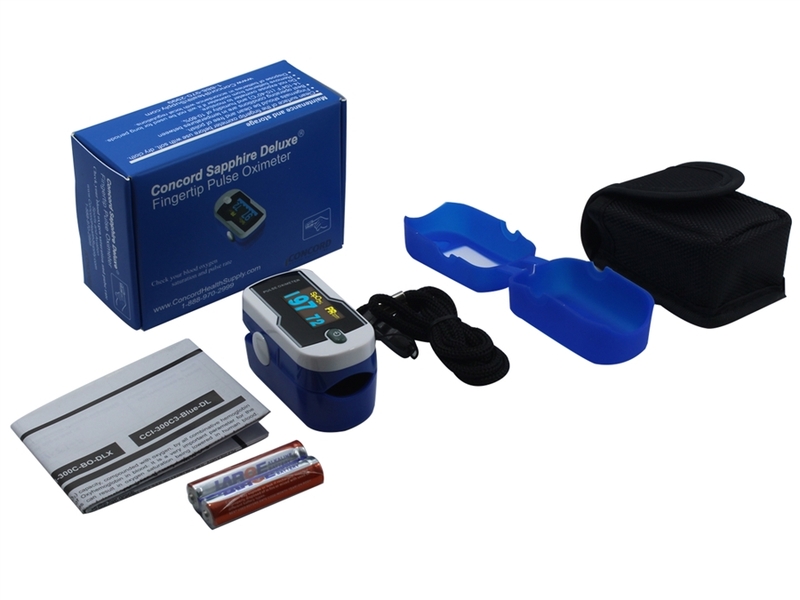 It is very important for individuals with certain medical conditions to keep a close eye on their blood oxygen saturation levels and pulse rate, and the Concord Sapphire DELUXE Pulse Oximeter is a convenient, low weight option that can be worn around your neck at all times. SpO2, Pulse bar, Pulse and waveform. Average Customer Review: 5 of 5 Total Reviews: 21 Write a review. Service and delivery were above expectation. This was the first time we ordered from Concord Health Supply and will most likely order from this company again. Excellent and fast service. Really nice product. ThankYou Concord. My first time shopping with Concord and I was pleasantly surprise. I got to talk to the most wonderful rep. Krikor. 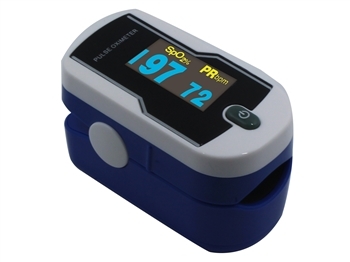 I explained that I am buying these oximeter for charity to be sent to another country. He took his time and explain all the pro & con about each product. After the transaction I felt like I have known him for years. The products were aslo affordable . I will shop again.